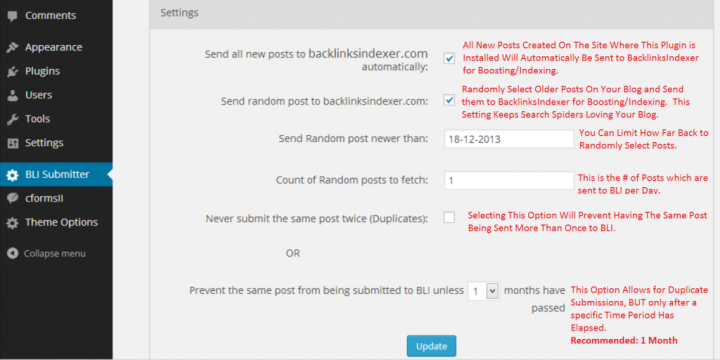 3ptechies » Reviews » Services review » Backlinks Indexer Review 2019: a Super Useful SEO Tool for Marketers? The importance of backlinks to a web page, blog or a website, in general, cannot be overemphasized: This is because search engines believe that a particular web page is more important than the others based on the number of links that are pointing back to it. In fact, backlinks are one of the key tactics for ranking high on SERPs, hence a need for this Backlinks Indexer Review content. In this short review, I’ll introduce a wave-making SEO tool code-named Backlinks Indexer. It is a backlink indexing tool from backlinksindexer.com and surely a helpful tool to track and manage all the links that are pointing back to your website and apps. Before going to the review proper, I’ll like to say a thing or two about the working model of backlinks indexer tool. Come along with me as we explore this handy tool for bloggers and digital marketers. How Does Backlinks Indexer Work? 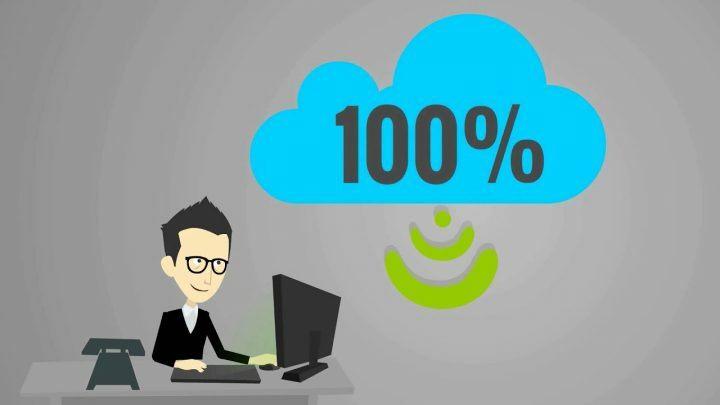 Backlinks Indexer is not the first or only cloud-based backlink indexing tool; however, it can easily make any top 5 list. This tool allows you to index your backlinks easily and without the long wait time for most link sources. It makes it super easy to rank your websites/pages higher on SERP listing. Non-Indexed backlinks are as good as useless, which is one of the reasons why every serious marketer needs a tool like Backlinks Indexer. It will be a complete waste of time and money to build backlinks that aren’t indexed or picked up by search engines. So what does BacklinksIndexer help you do? This tool helps you to automate your link indexing tasks. It let you index your URLs quickly for high ranking and improved SERP listing by merely pasting them on the platform. It is a cloud-based tool, fully automatic, and does not require you to download real software for its effectiveness. Backlinks Indexer is safe to use, plus, it offers quick indexing for Wiki Links, Social Signals, Web 2.0 Links, RSS Aggregators, Automatic Drip Pinging, Permanent Backlinks, and more. The plugin is codenamed – bli-submitter. It lets you work directly from your WordPress dashboard and can be used on any kind of WordPress hosting setup. Well, you’d have to visit the official website and create an account with them (you can sign up here). New customers are awarded a free five days trial for just $0.01 after which you’ll have to choose any of the available plans/packages which suits your purpose. Once you’re done creating an account, log in to your account’s dashboard and start submitting the URLs you want to be indexed or boosted quickly. You can get in touch with their support for anything else that isn’t very clear to you. 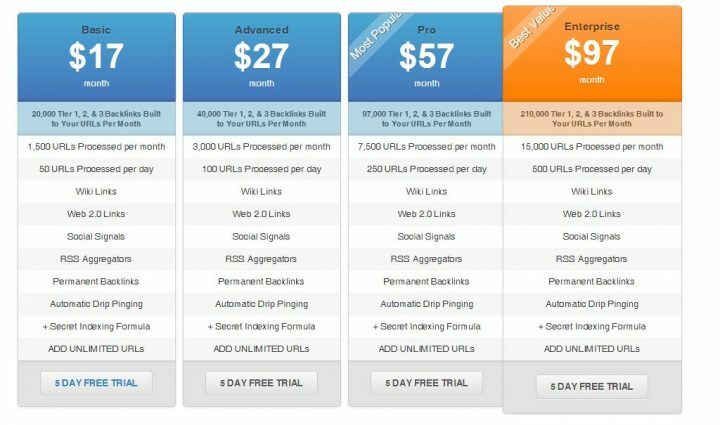 Now, depending on the plan you subscribe to, you may get up to 15,000 URLs Processed per month (500 URLs Processed per day). When I signed up for the basic plan which is the default plan you get subscribed to, it was difficult for me to access/log into my dashboard initially. I had to contact customer support, but, unfortunately, I never got quick feedback. However, I checked back after some days, and I was now able to access my dashboard. Probably, there must have been an issue with the server as at the time I registered. So, hopefully, the problem won’t surface for new users anymore. Backlinks Indexer is an excellent SEO tool for handling your bulk link indexing tasks. It ensures you aren’t doing SEO links indexing the wrong way and helps to skyrocket your website’s performance on search engine results. It does not only index your URLs but also boosts them (adding 100% more backlinks to your backlinks) for higher ranking. Also, it is not difficult to find your way around the Backlinks Indexer dashboard, and it has many other handy functions. You’ll equally get social signals on your links, which is a crucial ranking factor these days. Generally, It is a recommended SEO tool for almost everyone, but mostly for bloggers and internet marketers. What’s your thought on this handy SEO tool? Do you think it’d be valuable for Marketers, Bloggers, Startups, SEOs, Advertisers, etc.? Share your Backlinks indexer experiences with us in the comments section below. Outstanding review of this software and I am on my way to make a purchase and start outrightly. This is exactly what I needed for my blog to grow on search engine results and I am happy I found it right here. Previous ItemLanding Page Monkey Review 2019: a Better Squeeze Page Builder?